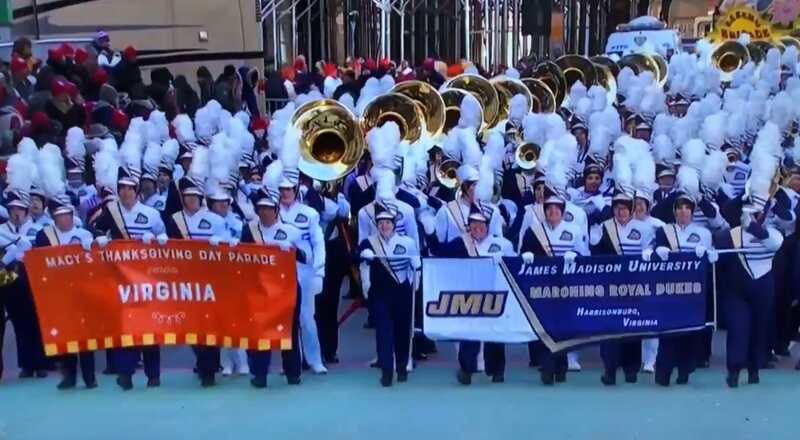 The James Madison Marching Royal Dukes returned for their 4th Macy's Thanksgiving Day Parade today and the biggest college band in the country made their mark! At 535 strong this band was sure to impress the NYC crowd and they certainly did at Herald Square. The band performed "I Got Rhythm".